A: You access it from under the van. It’s on the offside, in line with the drivers door. It’s bolted to the floor with a bracket. It’s a round cannister and has a straight pipe on one end, an angled pipe on the other. If you’re not sure you’ve found it, follow the fuel pipes down from under the drivers seat to the filter. A: Not quite true, but nearly! It is now a requirement for all diesel fuel providers to incorporate 10% of bio-diesel in their products, usually ethanol based. The problem with ethanol is that if it remains staionery in the fuel lines for too long it turns to a cake like substance and can jam up your fuel system. 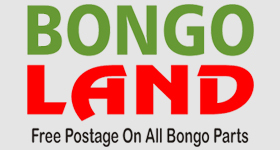 So if you are storing the Bongo for any length of time, make sure that the engine is tuned over at least weekly. A: Member David Street has been keeping records, and reckons that as long as the air filter is changed regularly, you will average about 20 mpg (excluding petrol phased starting). A: It is under the carpet, on the driver side, midway between the middle and rear seats. Also check the contact between the tank connector and top plate. There is a fact sheet in the member’s area. A: Check that the valve in the exhaust has not jammed. This can happen with age or accumulation of muck. There is a silver rod going into the exhaust section. When the switch is depressed there is an electrical click and the rod slowly revolves. When the switch is flipped back the rod quickly rotates back to its original position. (Thanks to ‘berrega’). A: The bolts are 12mm in diameter with a shank length of 45mm. A: See above… Just slide the rear seats as far back as poss, slide the middle seats forward as far as poss, this will give plenty of room, grab the carpet and give it a good tug, it will come up allowing access to the flap. A: In all likelihood this is an almost undetectable leak in the exhaust manifold gasket that would not show up on a pressure test. 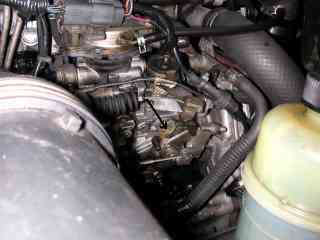 You should get the gasket and the manifold studs checked at and replaced as necessary. A: According to my Ford Ranger manual (same engine) this is likely to be caused by one of two things. Either a fuel starvation problem, probably due to the fuel injection system. Or secondly a problem with the fuel pump or air in the fuel system. Sounds like a job for the professionals to me. (Additional information from Jon Cane: “Having suffered the same symptoms, I know exactly how he feels, we had been to a diesel specialist etc and all to no avail. We discovered via our garage doing some excellent detective work that it was the nut marked in the photos that needed to be tightened up. I have no idea what it’s for or called, but we believe that it was allowing air to be sucked into the turbo which after a few hours would have built up enough to cause a air gap in the fuel system hence the fuel starvation in the system causing us to stall. A: Member David Johnston has been trying to convert his Bongo and reports that yesterday, “my local Mazda dealer expressed his doubts saying that Mazda’s tend to have softish valve stems which could fail when using LPG. Needless to say, this could lead to catastrophic engine damage. I gave Mazda UK a quick call today and mentioned LPG to the nice lady who answered. Without hesitation, she told me that Mazda do not recommend LPG conversion.” However, some members do run their Bongo with an LPG conversion and member Ron Miel says “…LPG and valve seats, any decent LPG converter will include a Flashlube system to guard against that”. And there’s a useful factsheet in the members area. A: This sounds like a manifold problem. I would get the studs checked if I was you. A: We’ve seen a few Bongos with sheared manifold studs, not many, but it sounds like the exhaust might not be supported properly and is putting too much stress on the manifold. Another possibility is that it might have been over-torqued when it was fitted. Or then again, there might be a bit of corrosion which has started a crack. A: The most likely cause is probably a stuck or dirty injector which might improve with a dose of injector cleaner, or possibly may need replacing altogether. There is a discussion on this item on the Members-Only page. A: 65 litres. But watch out! There’s no warning light when you are running low. A: In theory a modern camping fridge will run for about 30 hours before it deadens your battery. But in practice it will depend on a number of factors including the power consumption of your coolbox, the ambient temperature both inside and outside the vehicle, and the state of your leisure battery. Typically it will last about 18 hours. A: Member Paul Franklin recommends something called a “Junior Ready Bed” which is an airbed, sleeping bag and pillow all in one. It is available at Argos or through Amazon; just Google it. A: Stan at Caravan Supplies in Rotherham has a stock of these, and other goodies. Phone him on 01709-578727. A: If you are in the drivers seat push it from the side towards the passenger seat. It should move over a few mm, when it does pull your side down and it should just pop out. A: Tim from St Austell offers this sound advice: “You can have it chipped, which is the expensive option. But if you are poor like me you will need to make do with a new speedo face. Firstly replace the dial with an English one (i.e. in mph). Then you get your missus on a pushbike with a borrowed mobile phone. She then rides ahead and you follow. When she gets to 30mph (she’ll let you know via the phone whilst steering with one hand) you whip off the needle from the speedo face and replace it on the 30 mph mark. To ensure accuracy get her to pedal a little bit harder until she reaches 40 mph and recheck the speedo. Adjust as necesaary to within 1.5%. 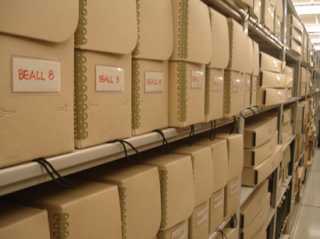 It may help to carry out the latter test on a slight incline, e.g. a hill. Hope this helps”. Chips can become faulty and create false readings. The easiest option is to just change the speedo face for one that reads in miles, these are available from suppliers on the internet… just type in ‘Bongo speedo face’. You can legally leave the odometer in miles. Allans Vehicle Services suggest that to set the needle, fit the speedo unit (without the glass) back into the dash, with all wires connected into the back of it. Don’t fit the needle-stop post to the speedo face yet. Switch the ignition on. Then fit the needle in the zero position. Once it’s in position, fit the stop-post and glass. A: You can try the several breakers on the Bongo forum or eBay. A: “Pippin” reports: look at the fusebox by the driver’s right knee. You will see on the top row at the right hand side there are three blue 15A fuses. From the left the first feeds the L curtains, the next the R curtains and the right hand one feeds the cigar lighter and mirrors. These three fuses are fed by a thick red/black striped wire that is controlled by the ignition key in the accessory position. You could cut that wire and feed it from a different source. A possibility could be to connect it to the feed to the other five fuses on the top row. This is a thick white/red striped wire that actually is fed from fuse BTN 40A under the bonnet. But don’t blame me if it all goes pear shaped. A: The company you refer to are called Visual Performance. Their website can be found here (although it seems to be off-line a lot of the time). A: That’s a difficult one. Wellhouse Leisure make their own, and do not sell them as individual units. But you could try adapting the VW beds that are available from www.justkampers.com. They are also available from Cannons Forge who supply some of the converters. A: Have you tried incontinence pants? A: Condensation is indeed a big problem, and could even be a contributory factor to the heater motors blowing. Ever wondered what happens to all that accumulated fog on the windscreen? It is especially bad on cold, damp nights, but there are a few things you can do to counteract it. 1) Stop damp air accumulating in the vehicle in the first place. Keep the sliding door closed and the roof hatch down, but keep the side windows open just a notch to allow damp air to escape. 2) External screens will help, but are not (yet) available for the Bongo (but we’re working on it). Inner screens provide insulation against the cold, but do not do much to prevent condensation. 3) Sleep with a window open a crack, on both sides, and the roof trap door firmly shut. 4) Consider buying a small portable dehumidifier. A: In theory the gas bottle should meet BS 1646. The standards state (in simple terms) that gas bottles must be stored in a purpose built locker, this means accessible only from outside or in a completely sealed locker, if accessible to the interior. It must also be able to resist fire for a minimum of 20 minutes which means it has to be constructed from steel. The connection between the supply and the appliances must be via a regulator and carried by either by rubber hose or metallic pipe. A: There is also an internal fuse in the power socket itself. This consists of a very short length of insulated wire built into the design of the socket. The wire has the consistency of solder and is easily mended. The tricky bit is removing the socket itself. Use a small screwdriver to carefully lever out the bottom of the socket from the front and then put your hand up into the dash and pushed the whole thing out from behind. A: You are quite correct. The UV tints will interfere with the satellite signal. I would strongly advise that you invest in an external ariel, remove the windscreen, or, if it’s raining, make your kids walk to school. A: If you really cannot miss Neighbours/Home& Away then buy yourself a good set-top aerial (about a tenner). Don’t go for one that looks like a Goonhilly dish or a UFO or promises the moon or needs a battery for that useless “booster”. Total waste of money. It should look like a TV aerial, either with half a dozen little sticks or better still with a zig-zag coming to a point, like the ANTIFERENCE Silver Sensor. You then connect it to the aerial socket and point it out of the window of your Bongo in the direction that you think the transmitter is. And then you tune from 21-68 and find the best pictures. And then you alter the aerial to V and you do it again. And then you point it in every direction you think the signals might be coming from and do it again, and again, and again, both H & V until you find the best pictures. But it will not work through the silver screens or windows with reflective silver film. A: We would strongly advise against DIY unless you are an auto electrician, although a lot of our members do fit them. You’ll find plenty of advice in the ‘Converting Bongos to Campervans’ forum here. AVA Leisure will fit the full unit for £550 fully inclusive. It takes a full day, and 10 days notice is currently required. A: This is a specialist market, but such items do exist. You could try Makesafe who are based in Birkenhead. (Update 9/8/04: Steve Knight says try Screwfix. They do safes for under £30). A: No, silver screens would not make any difference. The best bet is to keep the van well ventilated through the night. A: Member Rich advises the following: I realised that there were no speakers – just the grilles – and went out and bought some nice 6×9″ speakers – and then had to cut the plastic panels to fit them in! – but they sound amazing! To get the speaker panels off you need to remove the plastic inserted pocket thingy between the speaker and the rear door and you will see the inner workings of your bongo when you remove it – then pop your hand to the rear of the speaker grille where you will find two bolts holding the plastic grilles in place – do not try to prise them off – you’ll be there all day! A: In the driver’s door. A: It’s the one the speedo conversion chip is connected to. I suggest connecting the Sat nav to the gearbox side of the chip to avoid any loading issues. A: Most likely the loom has failed where it passes between the A pillar and the driver’s door. Years of opening and closing cause the wire core to work harden and fail. It’s an easy fix; strip back the insulation and solder in a short length of wire, then cover with heat shrink. A: Check the cable between the barrel and the auto gear shift. It may have become dislodged or frayed. Also check the barrel housing. A: The code is stamped on the drivers or passenger side door barrel, so you wil need to remove them to look. A: Most (but not all) Bongos have after-market fobs fitted. The original Bongo central locking is driven by the key in the drivers door. If your key continues to operate the Central Locking as normal then its the added remote fob that is the cause of the problem, not the central locking. If your key doesn’t work the central locking then the most likely suspect is broken wire in the drivers door loom or possibly a flat leisure battery if one is fitted as the power for the remote fob comes from the unswitched supply that is normally moved over to the leisure battery if fitted You also have to note that the frequencies used by Japanese fobs are different from UK fitted hobs. It’s a complete nightmare. A: The control box is under the dash, up behind the glove box. A little smaller than a cigarette box – has a 6 way connector on the base. And it says Door Lock on the side. From memory it has two switch inputs, two outputs, live and ground. Fuse is a 30a on the top row of the under dash box. Q: I am intending to fit my own immobiliser. I have been told that it is best to hook it into the starter relay. But is this the best place? If so, where can it be located? (Tony from Helen Green). A: There are two schools of thought on this. Some people (myself included) maintain that the starter solenoid is too easily by-passed to make the starter relay very effective (it can be found behind the steering column). 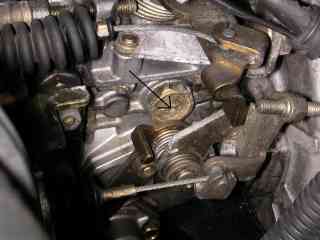 It may be wiser to use the fuel cut-off valve which is located on the injector pump. A: Assuming you have checked the fuse, the other possibility is that the wiring to the lock is shorting out on the chassis. You can access this wiring either by taking the door panel off or, if you’re lucky, by lifting the electric window switches. Insulation tape placed in strategic places should solve the problem. (Thanks to Jon B for this). Q: I am having difficulty getting a duplicate key cut. I have tried Mazda and Ford dealers, but all to no avail. (Maggie from Winchester). A: Some owners have found their local ‘key cutting’ bar (Timpsons) can cut a key. Otherwise you need to get hold of the “blank” ref no MAZ24REP. (Or on some models, a MAZ 21R). And if that doesn’t work, try a blank for a Ford Fiesta. (Update from Jim Cunliffe: I followed advice to obtain a replacement key based on a Ford Fiesta but the shop needed further details to send off and any other members may wish to note that it is advisable to take a photocopy of both sides of the key for shop branch internal consultation. ) (Further update from Ken James: The one and only key for my Bongo had a split across it, so following your advice I went to my local keycutter and informed him that if a Mazda key wasn’t identical then try a Fiesta key-well after three keys were cut, I found that I could turn the door locks one way but not the other. At one stage the locksmith jammed a key in the passenger door and we had a hell of a job removing it!! I then went to another locksmith–“key and lock security” of Bournemouth, they took one look at my key and within a few minutes had cut me Three keys which fit perfectly, they did’nt even use my key as a pattern, they simply entered the numbers on the key and the rest was done from their computer database,excellent. 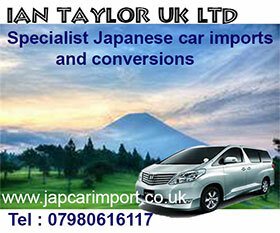 telephone 01202 526090. (Further update from Richard Layton (14/05/06): ” I obtained a Bongo key for £6.50 from KEYS IS US, rear of 41 London Road, Lexden, Colchester, Essex. (01206 766418) They confirmed that the “blank” ref of MAZ24REP is correct. A: (Andrew & Rodrica Mills answer) We had an immobiliser fitted by the company who sold us the Bongo. A requirement of the insurance. It caused problems as did the one they fitted to our previous Toyota import. It was easily fixed (It just required an extra relay) by an ignition and electrics specialist firm, Warwick Ignition. When we travelled to Romania the first time we had an alarm and immobiliser fitted which replaced the original one fitted by the dealer. This is a Sigma unit (the full monty) and it cost about £400 fitted. The company who fitted it had no problems with the wiring and it works fine. They guarantee the work. They had to keep the Bongo overnight to fit a solenoid lock to the driver’s door so that it works from the remote arming device. It conforms to Thatcham category 2:1 and lops a fair bit off your insurance. The company is the Car Hi Fi Centre Cheltenham… 01242 263103, but Sigma will give you a list of approved dealers in your area.Sigma, 1, Seymour Court, Tudor Rd, Manor Park, Runcorn, Cheshire, WA7 1SY, 01928 570500. Update: Most alarm companies can now fit alarms to Bongos.